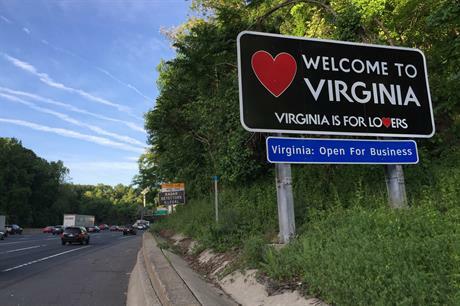 UNITED STATES: If Virginia was to back development of offshore wind, it could become the tipping point in investment by developers, a new report by BVG Associates has concluded. The Offshore Wind in Virginia report, backed by the Virginia Sierra Club, said if the commonwealth followed in the footsteps of other east coast states in firmly backing offshore wind capacity build-out, it could provide a tipping point in securing investment from developers and supply chain companies. BVG said Virginia could have up to 2GW of offshore wind by 2028. If it makes this commitment, it gives the US’s east coast offshore wind industry the volumes desired by the industry to make investment decisions. "In general, the offshore wind supply chains in Europe like to see an annual market of at least 1GW," BVG wrote in its report. "Such volumes achieve the economies of scale [or "tipping point"] required for infrastructure investment and skills development, and enables the supplier to apply lean manufacturing strategies. "Manufacturers have to be comfortable that the risk and costs of establishing new facilities are lower than those of transporting the components from existing factories. "In the US, the scale required could be lower than in more established markets because of the likely large distances between future wind farms along the Atlantic coast. "In addition, importing components from Europe or Asia will be costly, as long journeys increase the risk of delays (and so increased costs) due to adverse weather conditions. "Thus, a US factory could be viable with lower volumes than a European factory. "Of course, any supplier will only capture a proportion of the whole market. If the market leader with a 50% share needs an order book of equivalent to at least 500MW offshore wind capacity to make investment worthwhile, it would wish to see a total annual market of 1GW. "In our scenario, this figure is only reached in Virginia with the construction of the first large wind farm in 2026. The Virginia market in our scenario is therefore not big enough by itself to attract investment, so the Atlantic coast market as a whole is crucial." According to BVG’s estimates, the US east coast could have up to 8GW of offshore wind installed in the next ten years. Currently it has 30MW installed in Rhode Island, further north of Virginia. By following other states that have moved more quickly in supporting offshore wind — Rhode Island, Massachusetts, New Jersey and New York — Virginia will benefit from their initial lessons and cost reductions. BVG said the commonwealth has "an opportunity to be the best place to do offshore wind business with a sustainable future" as it has many of the criteria investors look for, including: proximity to market, site availability [for manufacturing facilities], cost of developing these sites, good local labour skills and costs partly due to Virginia’s ship-building heritage, and transport connections. Andy Geissbuehler, advisory director of BVG said: "Our analysis demonstrates that Virginia offers significant advantages and a convincing strategic fit with the offshore wind industry. "Those advantages will enable Virginians to generate long term economic growth from the rapidly developing offshore wind industry along the east coast, as well as the considerable benefits of developing its own offshore wind projects." Eileen Woll, the director of the Virginia Sierra Club’s offshore energy programme, added: "The ‘Vision for Virginia Offshore Wind’ report should remind every Virginia leader that investing in offshore wind will pay off for Virginia’s economy by creating well-paying jobs and lowering the cost of electricity for homeowners and businesses. "We have a massive opportunity to build a clean, renewable source of domestic energy that will help to secure a better, safer future for Virginia families. The time to act is now," Woll added.